A European crypto exchange that provides a direct fiat gateway to KMD, Komodo was listed on Bitpanda in June. Members in the EU can use Bitpanda to buy KMD with a Master card. Bitpanda also allows anyone to buy KMD with cash at over 400 post offices throughout Austria. Komodo established a partnership with Netcoins in July. This partnership makes KMD available for purchase with fiat currencies at over 21000 physical locations across all three continents. It also gives users the choice to sell their KMD tokens for currency with Netcoins. Komodo took 2 significant steps towards mass adoption in August, with the integration to Cred and a partnership with Peer2Group. It is a crypto focused micro investing app and a fiat gateway for decentralized applications and a distributed economy. The partnership with the peer2Group brought integration Peer2Krd. It is a service that loads debit cards in exchange for KMD tokens. Komodo platform continues upon the progress made with the three more giant steps towards mass adoption. 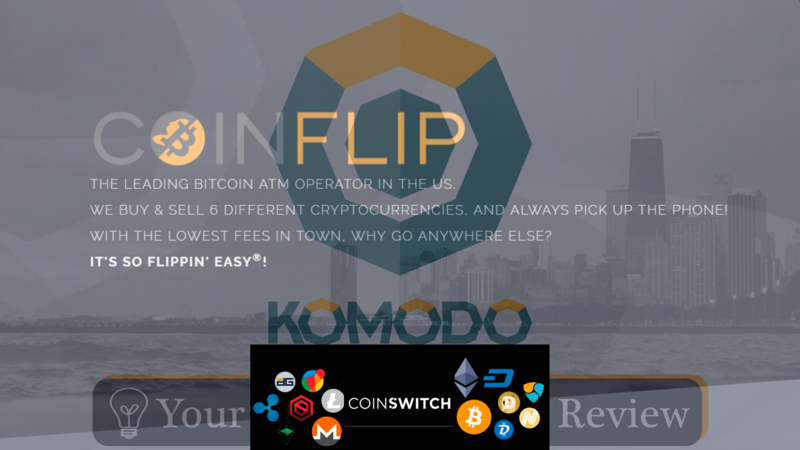 Komodo announced that KMD coins had been integrated into Coinflip’s network of the cryptocurrency ATM’s. The coinflip currency has both one –way and also two ways ATM’s across 13 different states in the United States. Two- way ATM’s allow the users to make sales and also purchases of seven different cryptocurrencies including KMD. Coinflip expressed about working with Komodo platform. That company is feeling excited to announce its partnership with Komodo. They are hoping to extend the cryptocurrencies reach while also continuing to provide the most crypto pairs at the lowest prices. Even Komodo is looking forward to an ongoing relationship with Coinflip. Komodo was listed in the Coinswitch in March. It is a cryptocurrency exchange that supports over 275 coins and tokens. It almost boasts more than 45000 trading pairs. So, now Komodo and Coinswitch have teamed up to launch a KMD dedicated exchange that allows users to trade for KMD at the lowest possible price without having to sign up at the centralized cryptocurrency.